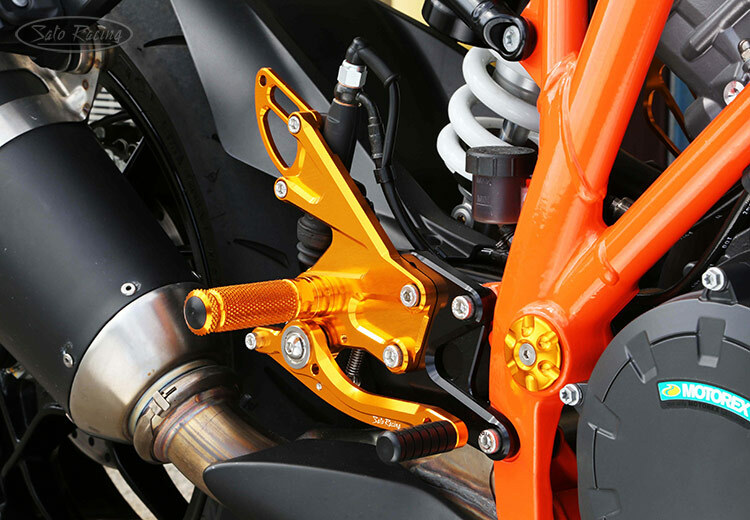 SATO RACING Rear Sets for 2014 and up 1290 Super Duke R are a track-engineered design, CNC machined out of high strength billet aluminum and anodized in your choice of an all-Black finish, or Silver or Gold anodized finish with contrasting Black base plates. 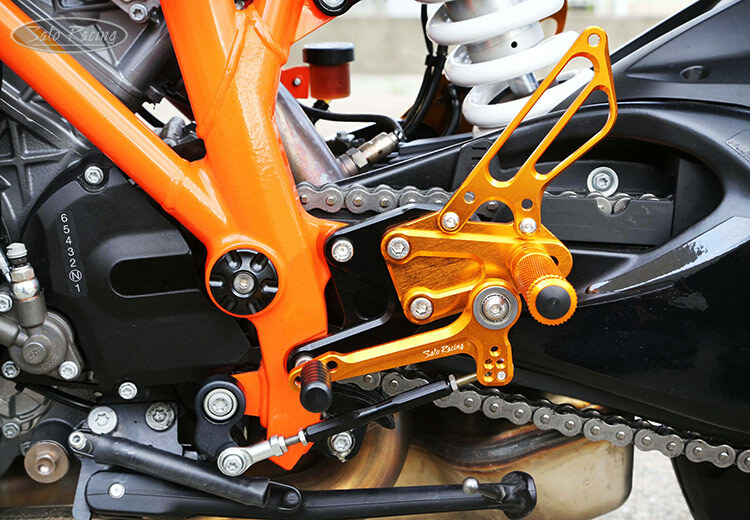 Modular design provides 6 adjustable foot peg positions in a range that brings your feet up higher and further back compared to stock. 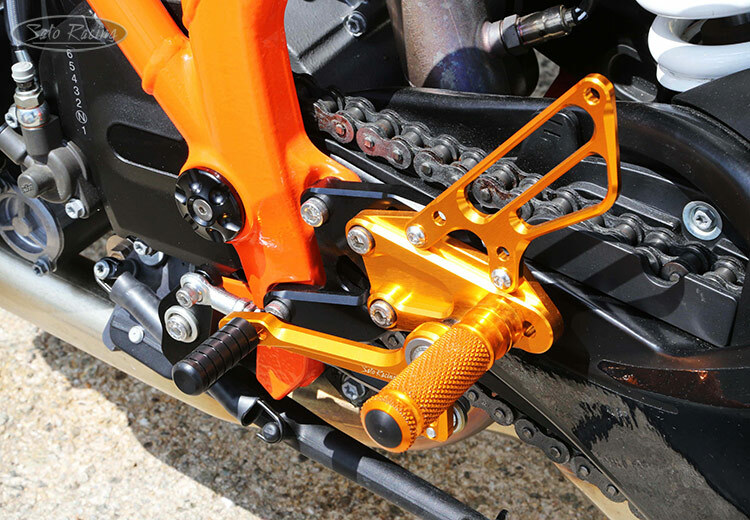 An optional Reverse Shift Plate is also available, changing the standard stock shift pattern of the Rear Sets to a GP-style reverse shift pattern. bearings for smooth, precise pedal movement. 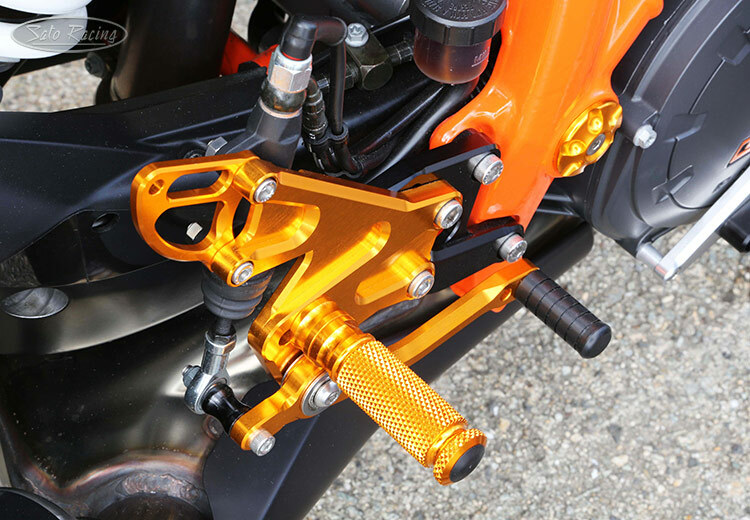 The foot pegs have a deeply knurled pattern for excellent grip. 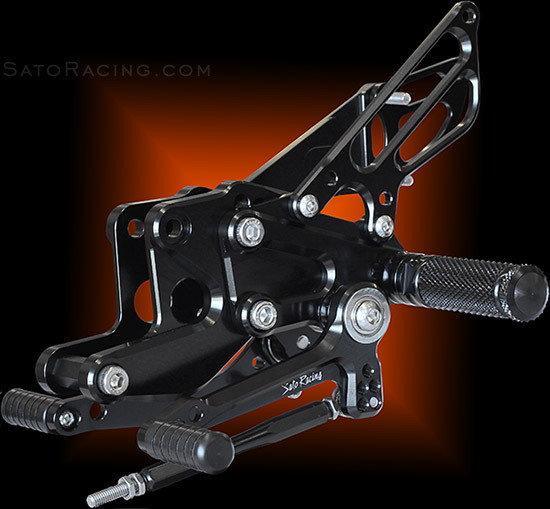 These Rear Sets have a stock shift pattern when attached to the stock change arm. 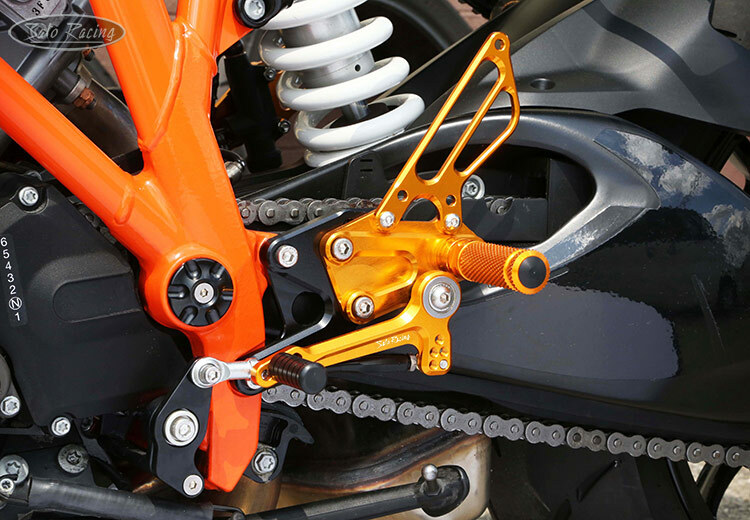 The multiple adjustment holes on the shift pedal let you fine-tune the shift stroke. which converts these Rear Sets to a reverse (GP) shift pattern. 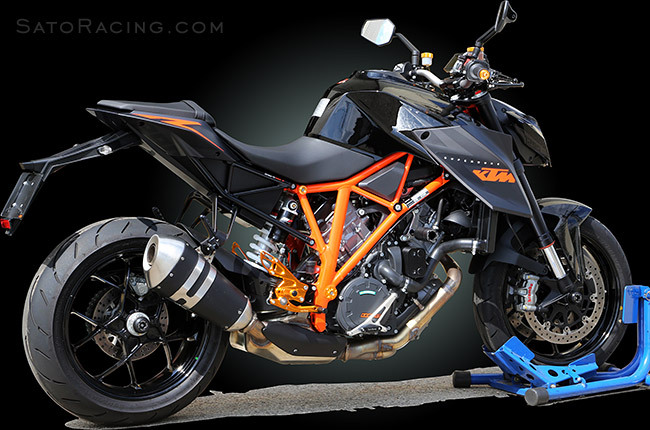 Provides a reverse shifting pattern for SATO RACING 990 Super Duke and 1290 Super Duke R Rear Sets. 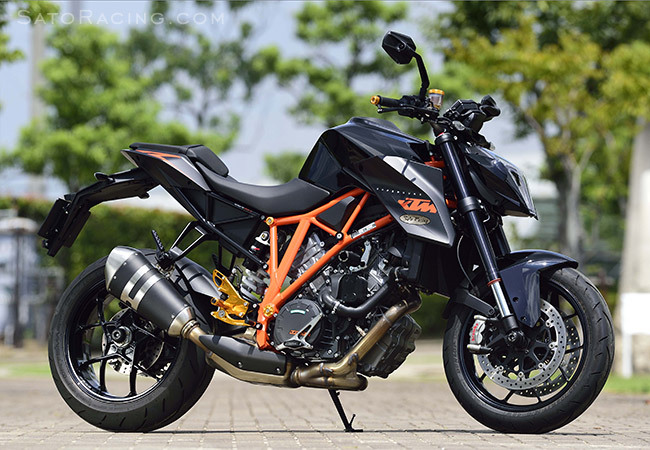 If using with SATO RACING 1290 Super Duke R Rear Sets, a shorter, 90mm-length Shift Rod is recommended. 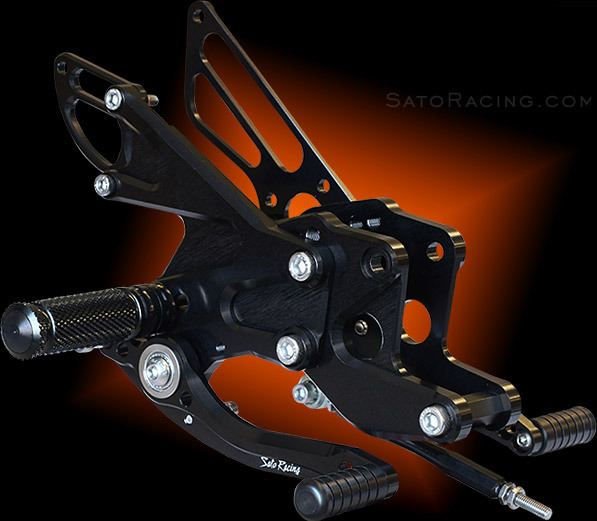 SATO RACING offers a full selection of Replacement Parts for these Rear Sets.